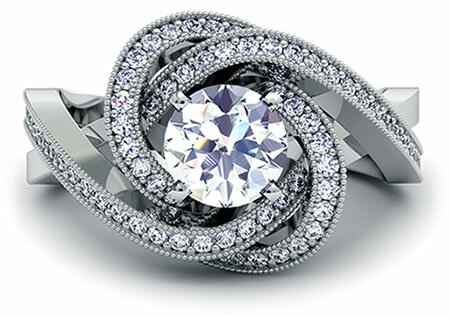 Our designers work with you to design beautiful, high-end, one of a kind jewelry that honors your budget and lasts a lifetime. You will be matched with a designer who will guide you through the design process from your initial ideas to the final finished piece. To begin, select the item you would like to create. We look forward to working with you! Joseph Jewelry works with you to design beautiful, high-end, unique jewelry, in-store or online, to your specifications. Using the latest design software and production technology, we ensure perfection. We match you with a designer who will help you through the process. You can communicate with your designer and upload inspiration photos in our private message system. Creating your own jewelry is a simple process whether you design online or in person at our Seattle and Bellevue jewelry store. 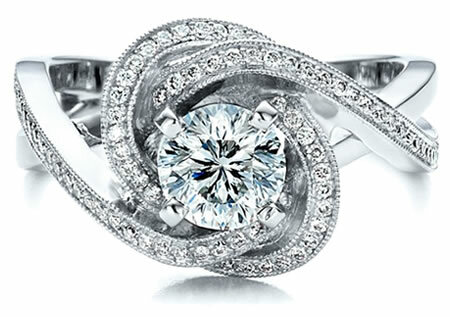 With over 1,000 engagement ring designs in our gallery, there are many unique styles to inspire your own piece. For every ring, we can change the metal type, center stone shape, gemstone quality, and more. To start your design, click 'Customize This Item' next to the piece you like and enter your desired changes when prompted. After creating your account, a designer will respond within one business day to follow up, send design concepts with your customizations, and give a quote, all through our private online messaging system. Additionally, if you would just like a quote for an item as-is, click 'Get A Quote' and a designer will be in touch. This is a great starting point if you already have a solid idea of a design with specific photos of inspiration pieces from online, magazines, or sketches. We have created heirloom pieces and wedding sets so that they incorporated a specific previous design, but also included elements of the wearer's personal style. We can create any design, and it always helps to send us inspiration photos. Through our custom design process, you’ll be able to see mockups from our designers, view detailed 3D models, and receive the final piece brought to life in metal and gemstones by our expert artists. To begin, fill out our custom design form, and a designer will be in touch with follow up questions within one business day. 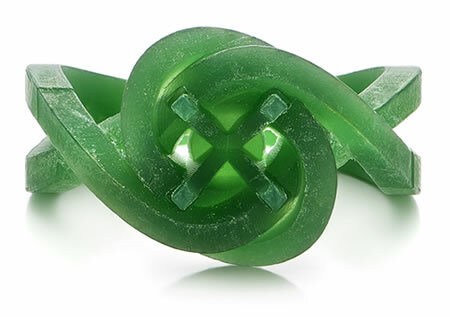 Are you looking for a truly unique, one-of-a-kind piece of jewelry? We offer full customization services and the ability to create almost any design you have in mind. Our clients frequently combine elements of different designs or start from just a simple sketch. Once you submit an inquiry, our designers can help you clarify your ideas and come up with a concrete idea that fulfills what you've been imagining. Fill out the custom design form, and then upload any inspiration photos to our messaging system, and our designers will follow up with you to get started. Once your choice of design, gemstones, and metal, we will be able to provide you with an estimate for the finished product. In most cases we can work within your budget by manipulating the grade of material. After the down payment is received, a Joseph Jewelry artisan will begin creating a 3D model of the design we started in step one. 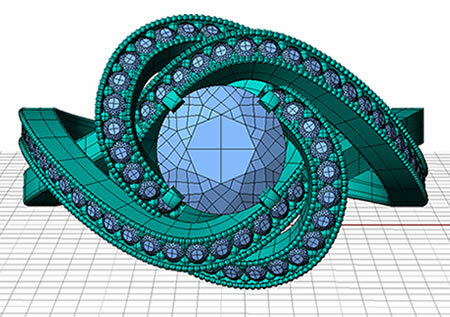 During this step you can still make any changes or modifications to your design – having the 3D model allows us to visually confirm any changes made at this point. It doesn’t matter how many changes you make, there will be no change to the original estimate as long as we are working on the original project without adding gemstones or materials - if we are adding any material or gemstones then an adjustment to the original price will be made accordingly. Rendered images of your 3D model can be emailed directly to you, posted to your online design account, or can be viewed in person by visiting the store. 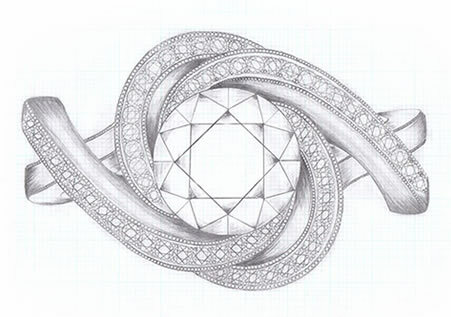 The computer-rendered images allow us to show you realistic views of your design as it will look when finished in the exact metal and gemstones (if any) you have chosen. After you have made all your design adjustments and have viewed the rendered images of your design we will ask for your final approval of the 3D model. On approval we will then use stereo lithography technology to “print” a full-size wax version of your design. This technology allows us to create the most intricate and complex details possible in the jewelry industry, within an accuracy of two hundredths of a millimeter; this means you can literally expect perfection from our workmanship. If you would like to see the wax prototype, you are welcome to stop by for viewing or we can mail it to you anywhere in the world. This prototype is full-scale and will show you the exact detail and dimensions of your project. Joseph Jewelry uses a state-of-the-art computerized casting machine that negatively vacuums all oxygen out of the casting chamber and replaces it with released argon gas to purify the environment for casting. This closed environment eliminates all porosity that would otherwise occur naturally due to oxidization. Porosity (tiny air bubbles in the metal) is a sign of an inferior casting and is normally seen on the surface of high-polished metal and will always occur during open-air casting. This is why our argon-gas vacuum chamber is so important.